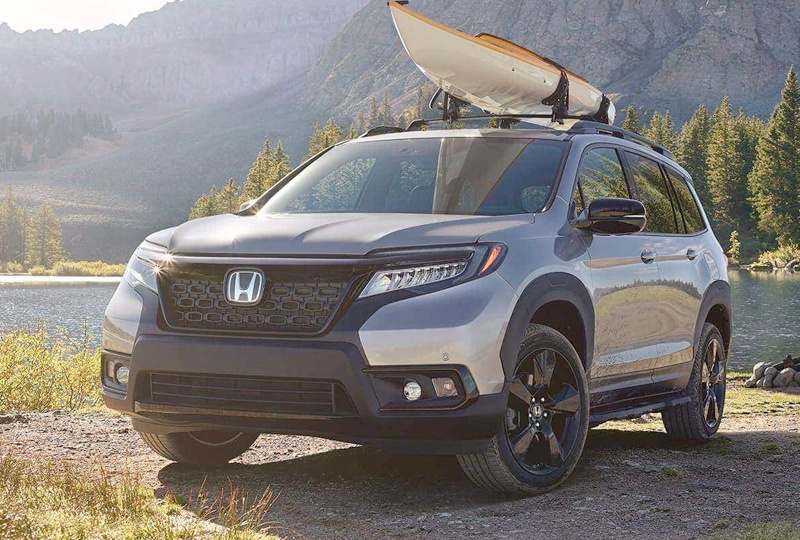 The 2019 Honda Passport for sale at Renaldo Honda in Shelby, NC, close to Gastonia, NC and Gaffney, SC, is ideal for off-road adventures and your daily commute. It operates on a phenomenal 3.5L V-6 engine with 280 horsepower and a 9-speed automatic transmission. 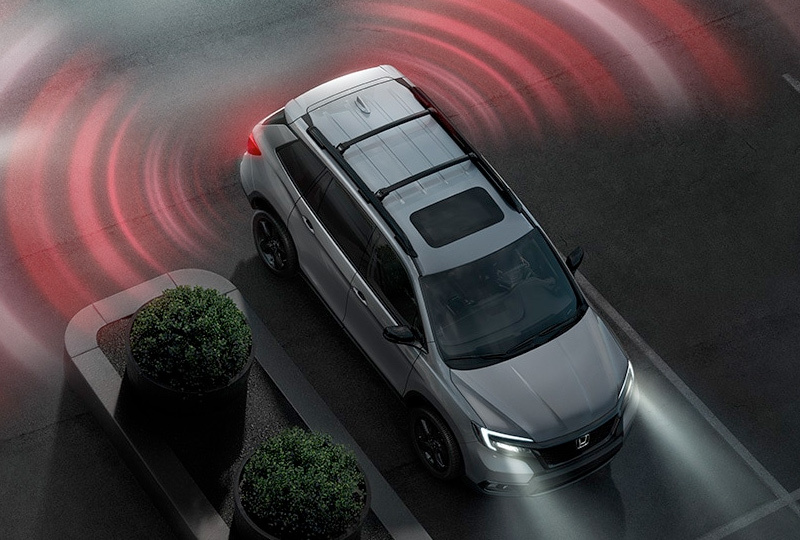 You’ll love getting 20 mpg in the city and 25 mpg on the highway1 on your regular drives, but the Intelligent Traction Management with Snow Mode and available Mud and Sand Modes truly stands out when you take it off the beaten path. Opt for the available torque-vectoring AWD system to create the ultimate driving experience. The exterior provides a rugged and aggressive look that can’t be missed. Sporty features include a gloss black grille, die-cast running boards with a nonslip coating, and front and rear underbody spoilers. 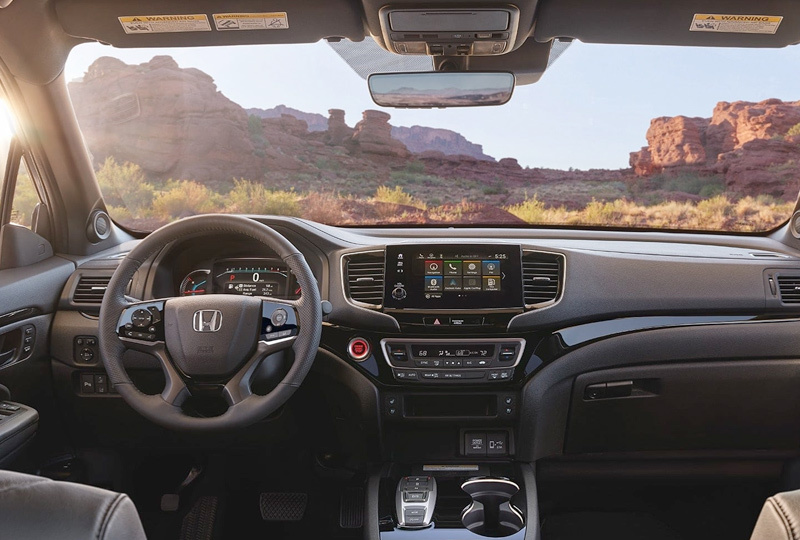 Whether you’re headed to work or hitting the trails, heated and ventilated front seats pair with tri-zone automatic climate control to make every experience a comfortable one. When the weather is too good to miss, use the standard one-touch power moonroof to bring sunshine and fresh air inside the cabin. You’ll also have plenty of storage options with great features like cargo area underfloor storage compartments, four cargo area tie-down anchors, available roof rails, and more. There’s never been a better time to purchase a new Honda. 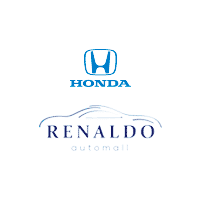 Stop by Renaldo Honda, located at 4421 East Dixon Blvd in Shelby, NC, to take a test drive and head home in your brand-new 2019 Honda Passport! 1Based on 2019 EPA mileage ratings. Use for comparison purposes only. Mileage will vary. With numerous seating configurations, ample cargo space* and hidden storage compartments, the Passport has plent of room for adventure. So whether you plan your route or prepare for the unexpected, you can load up the Passport to fit your kind of journey. *Honda reminds you to properly secure cargo items. 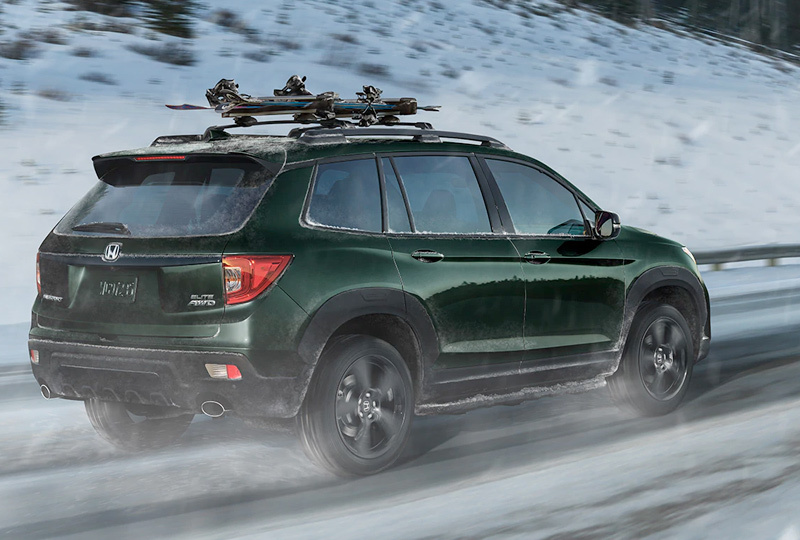 Overcome the elements in the 2019 Passport. Its 280-horsepower* V-6 engine helps you power through, while its toque-vectoring AWD, independent suspensiona nd Intellgent Tractin Managemnet system keep it steady even in adverse road conditions. *200hp @ 6000 rmp (SAE net). The Blind Spot Information system* can detect and alert you to the presence of other vehicles in the blind spots of your Passport. *The systems are not a substitute for your own visual assessment before changing lanes or backing up, and may not detect all objects, or provide complete information about conditions, behind or to the side of the vehicle. System accuracy will vary based on weather, size of object, and speed. Driver remains responsible for safely operating vehicle and avoiding collisions.